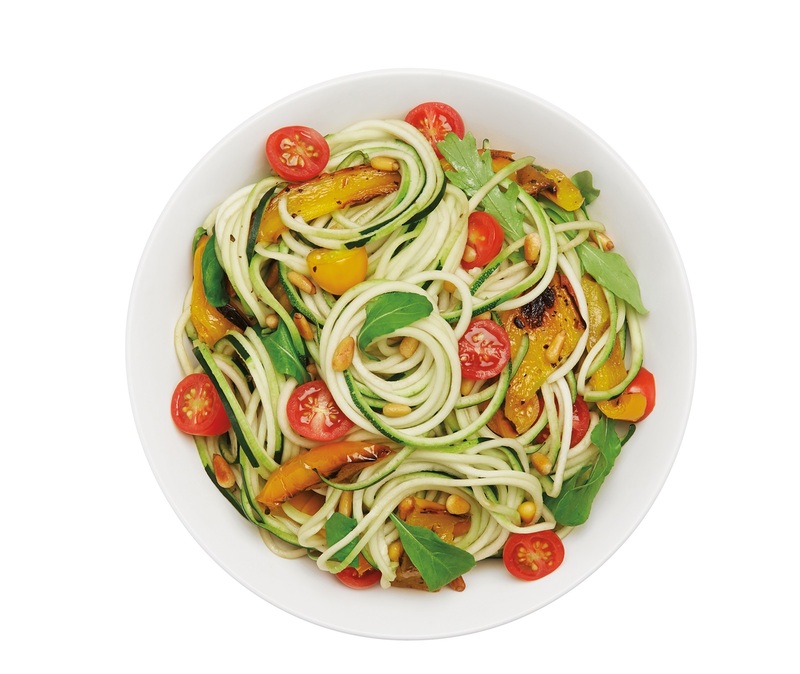 Whether you’re looking for a healthy alternative to pasta, or a fun way to give your classic recipes a twist, delicious meals are simple with the Spiralizer! 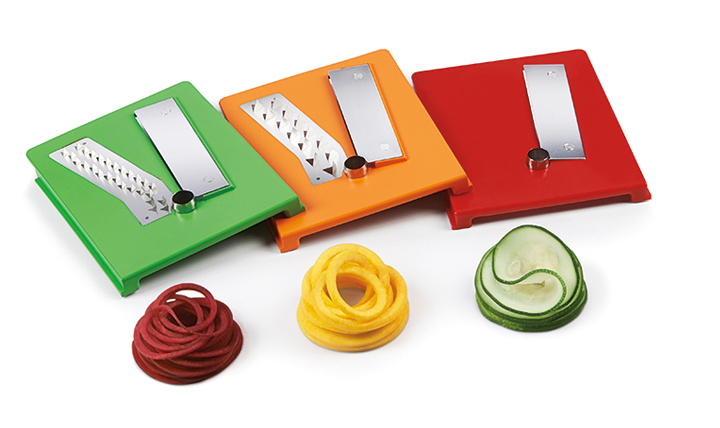 Three interchangeable blades let you quickly transform fruits and vegetables into noodles, ribbons, and more! 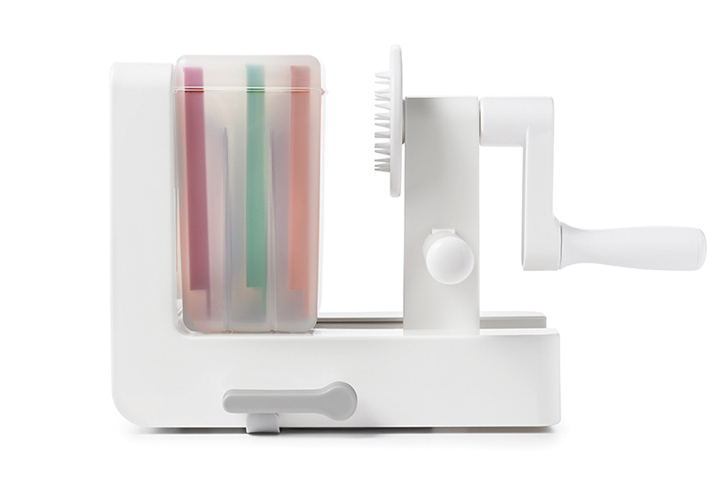 A Stronghold suction cup secures the Spiralizer to your counter to prevent wobbling while you work. 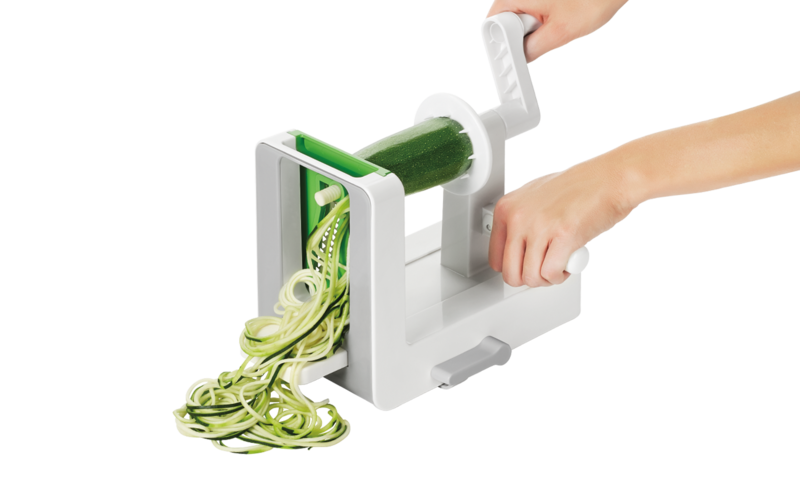 The Spiralizer has three interchangeable blades – Spaghetti Cut, Fettuccine Cut, and Ribbon Cut – so no matter your preference, you can quickly transform fruits and veggies into uniform spirals for noodles, curly fries, salads, garnishes and more! 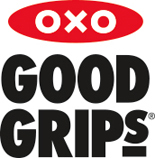 Dishwasher safe construction allows for easy clean up, and the blade box stores on board for compact storage! 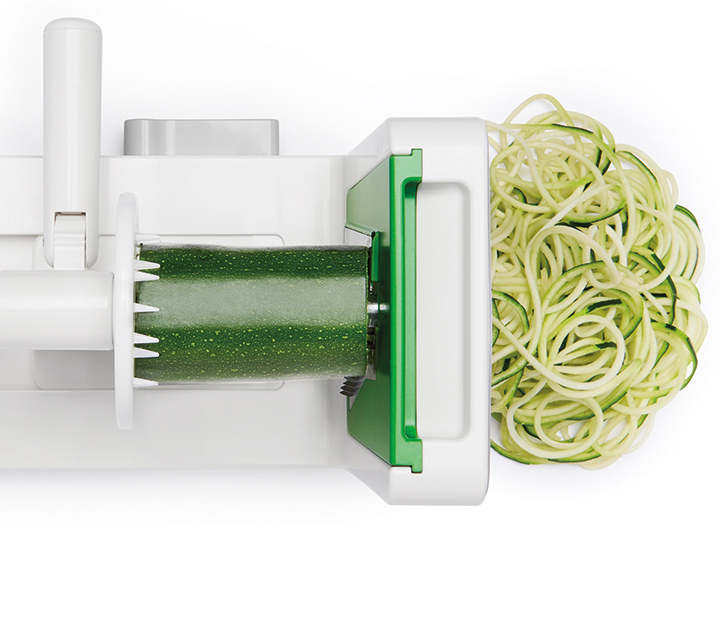 Our Spiralizer is perfect for creating vegetable noodles, a tasty, healthy alternative to pasta. 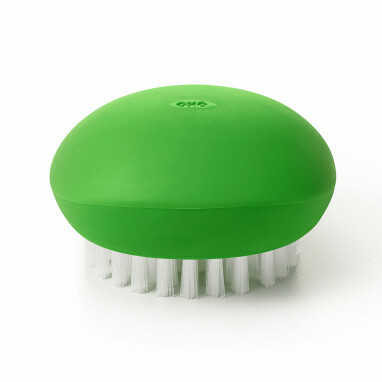 You can also use it to make uniform spirals for curly fries, salads, garnishes and more. Three interchangeable stainless steel blades create spaghetti cut, fettuccine cut, or ribbon cut noodles, and a Stronghold™ suction cup prevents wobble on countertops. 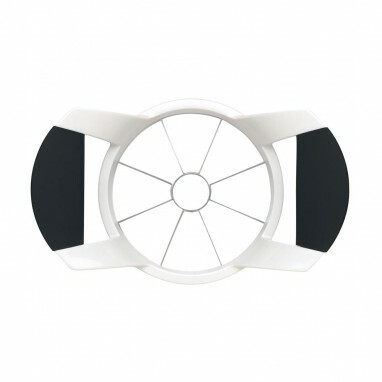 The removable blade box keeps blades clean, safe and organised when not in use and stores on board.